This modern, one bedroom apartment is perfect for solo travellers or a couple. 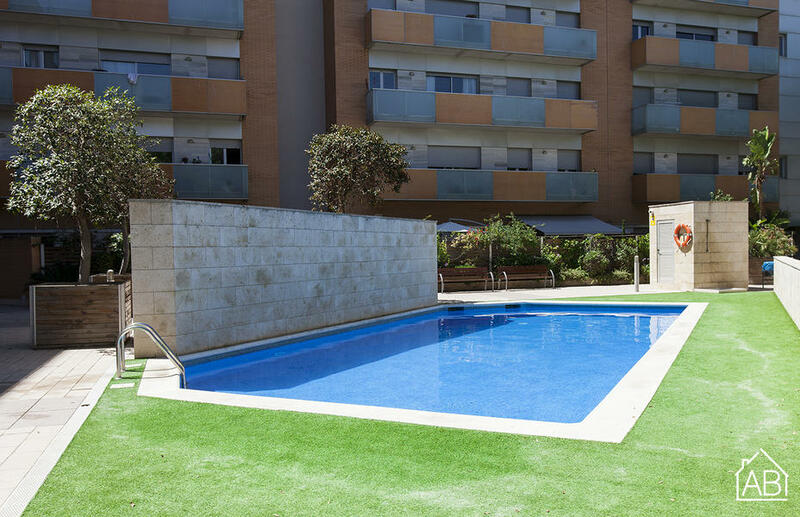 Situated in the newly developed Vila Olímpica neighborhood, it is just a short walk from Bogatell metro stop, Ciutadella Park and the beach. The area is ideal for those looking to stay near the Mediterranean shore and the area has a unique, laid back atmosphere. The pristinely decorated apartment boasts a fantastic location and offers all necessary nearby amenities. This bright apartment features a communal pool and outside space for lounging in the warm Spanish sun. With a fully equipped kitchen, complete with washing machine and dishwasher, this apartment has everything you need for a comfortable stay. The apartment has speedy Internet connection and a TV. As for climate control, the property is equipped with air-conditioning and central heating. Importantly, it comes with an underground parking space for anyone with a car. The maximum capacity of the apartment is for 3 people as a handy sofa bed is also included.